Fitbit has discreetly launched a new pair of wearable activity trackers well away from the public eye. Called the Fitbit Inspire and Fitbit Inspire HR, the devices are designed specifically for health plans, wellness plans, health systems and other enterprise partners — so much so that the two are completely unavailable for consumer purchase. "Fitbit Inspire and Fitbit Inspire HR are the first Fitbit devices designed for health plans, employers and health systems," a Fitbit spokesperson wrote to MobiHealthNews in an email. "These devices, available exclusively through Fitbit Health Solutions, are available to plan members and employees of Fitbit Health Solutions partners and customers." 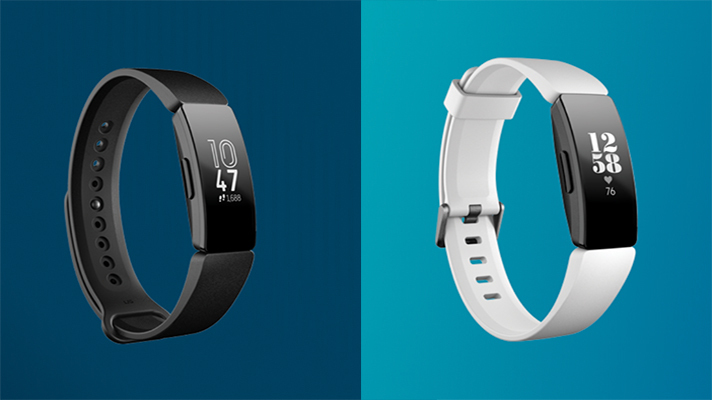 According to the company’s website, the Fitbit Inspire includes a number of a same features of consumer product lines like the Fitbit Alta. This includes activity and sleep tracking; call, text and calendar alerts; a calories burned meter; and movement reminders. The device also has an OLED touch screen, is water resistant up to 50 meters and holds a charge for roughly five days. Meanwhile, the Fitbit Inspire HR adds a few more functionalities enabled by the heart rate monitor, such as round-the-clock heart rate tracking, sleep stage monitoring, and location and pace tracking enabled through a paired phone GPS. "Inspire/Inspire HR meet the specific needs of the healthcare industry with a sleek tracker form factor that is easy to use, core health and fitness features, cross-platform compatibility, up to five days battery life and the software and social experience that motivate our users – all at an approachable price point," the representative wrote. "Wearable devices are a key component to our connected health platform, Fitbit Care, and in offering these affordable devices to health plans, employers and health systems now, we can reach a broader population and expand our work with the healthcare system in the 2019 plan year." While a price isn’t listed online, some users on Fitbit’s forums have reported that their gyms and programs are already begun listing the Inspire devices for sale to members. Over the past year, Fitbit’s primary consumer business has been successfully shifting away from consumer fitness trackers and toward smartwatches. However, the company has also been launching new projects specifically focused on health and wellness — for instance, the September launch of Fitbit Care health coaching and virtual care service for members of participating programs. With this in mind, the launch of new health trackers tailor-made to the needs of health and wellness plans signals the device maker’s continued interest in pursuing such partnerships. Fitbit currently has a number of partnerships with high-profile plans and payers including Blue Cross Blue Shield, Humana and UnitedHealthcare. However, it’s also seeing competition from other device makers sensing an open market — just last week saw news of Apple’s negotiations with private Medicare plans to subsidize the cost of Apple Watches.